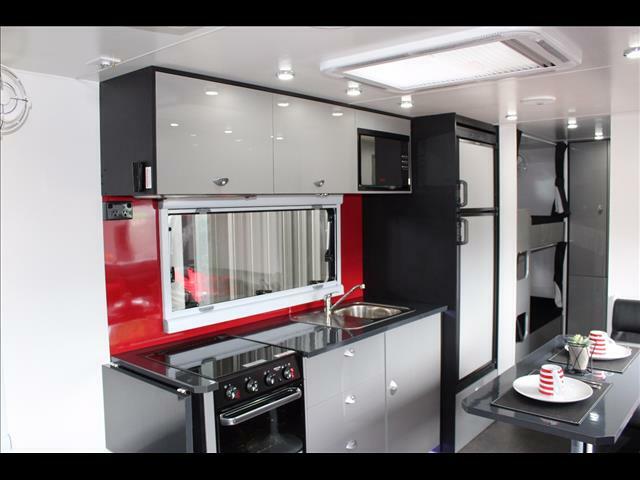 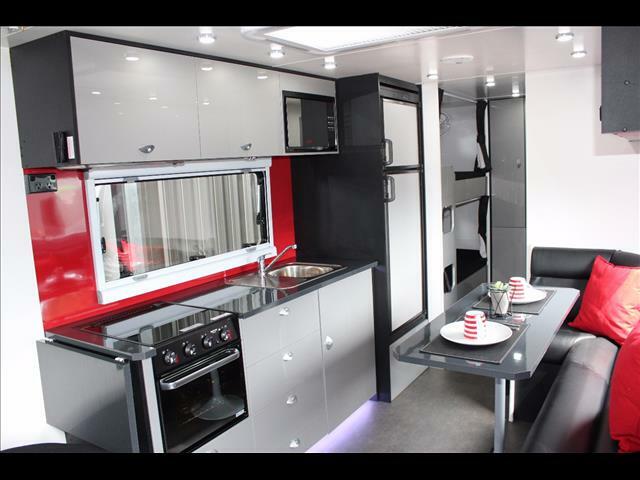 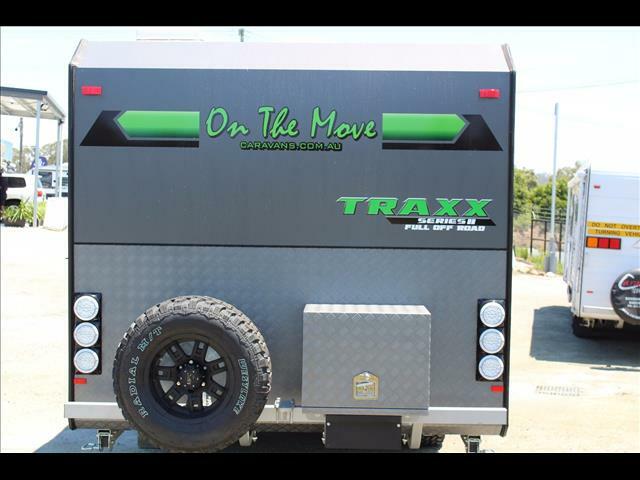 On The Move Caravans are known for specializing in high quality off road caravans in just about any configuration imaginable. 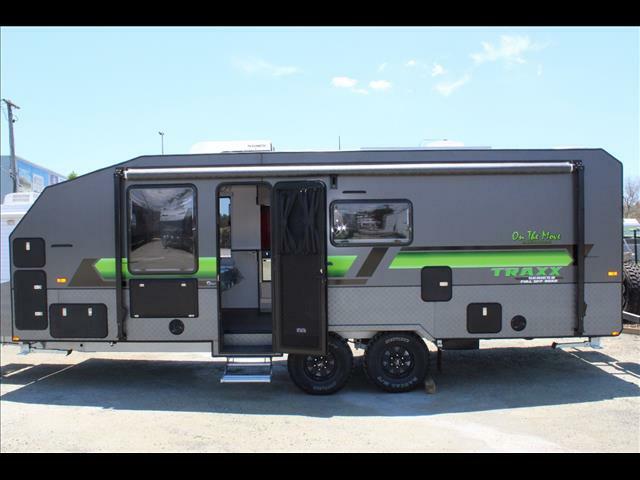 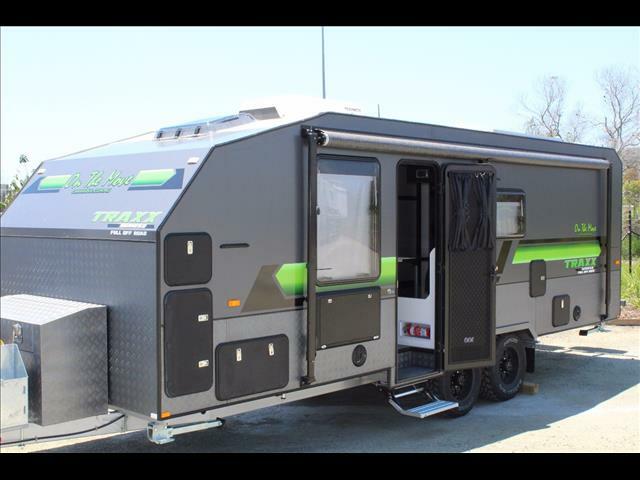 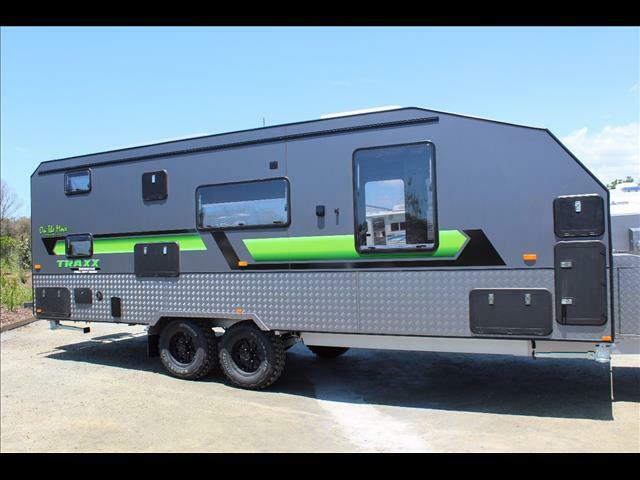 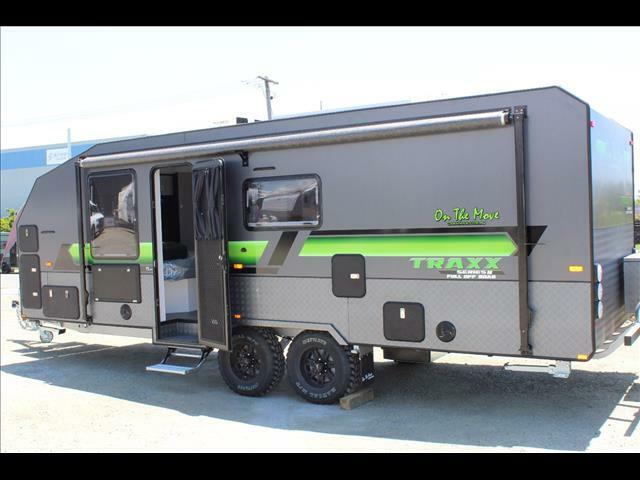 This example is a 22" full off road Series 2 TRAXX, it has a host of upgrades over the award winning Series 1 TRAXX along with some personalized additions to make it a little more practical. 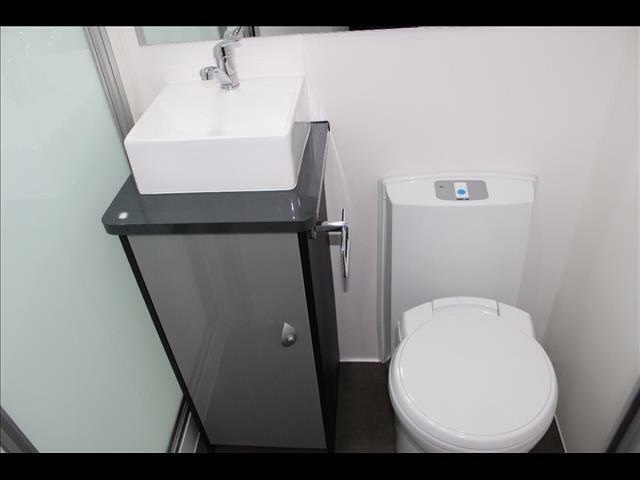 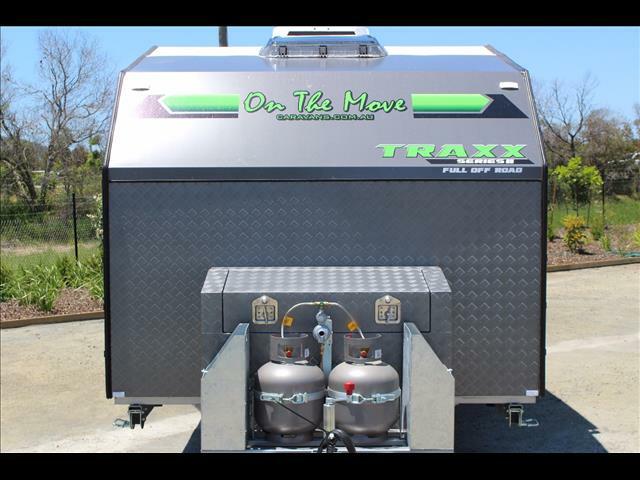 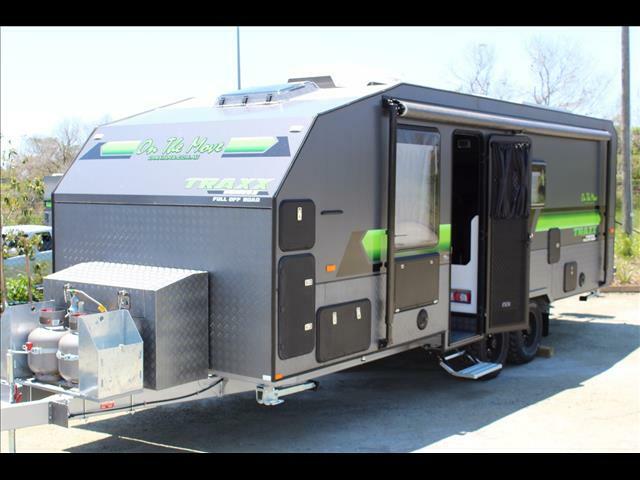 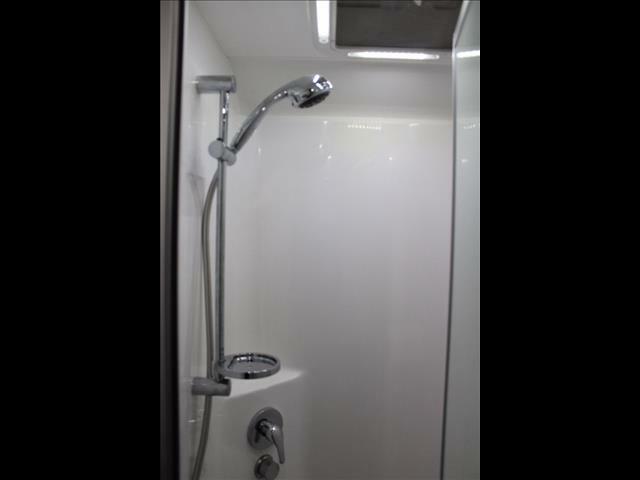 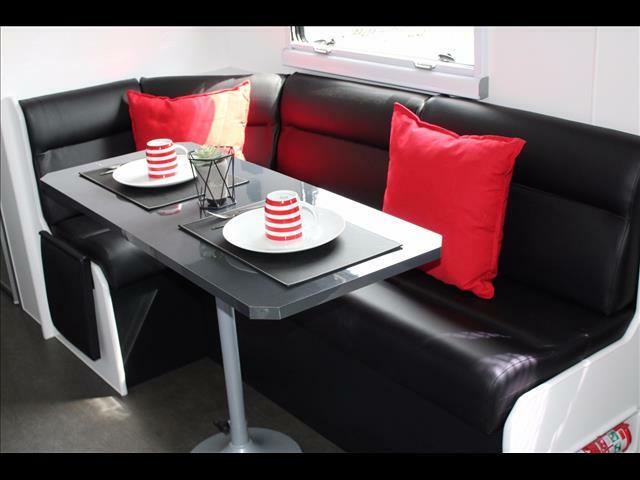 The TRAXX is available with either triple bunks or double bunks, depending on your needs. 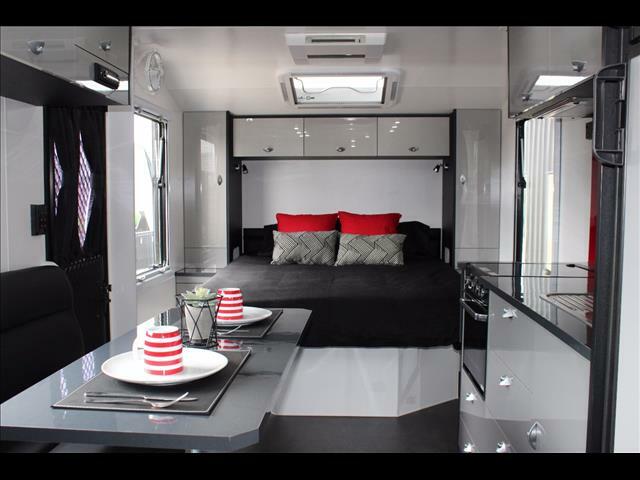 This particular example has double bunks with privacy curtains on each bunk. 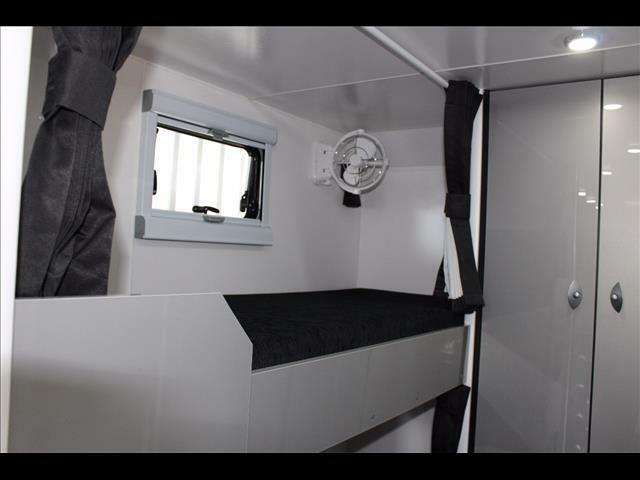 The bunks are 6 foot long and can be extended to accommodate taller occupants. 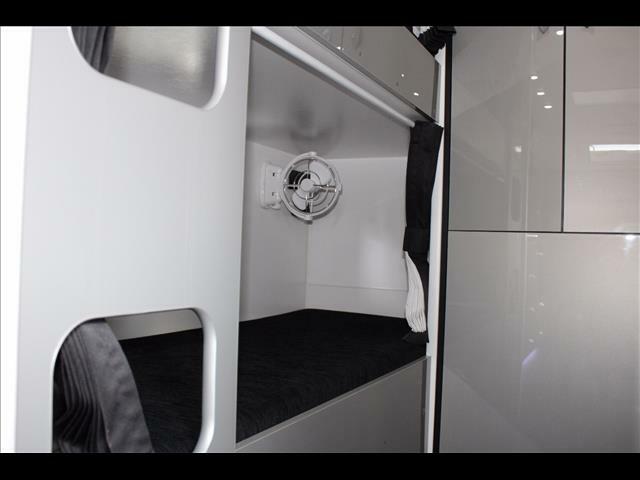 You will also find reading lights, power outlets and USB ports in each bunk. 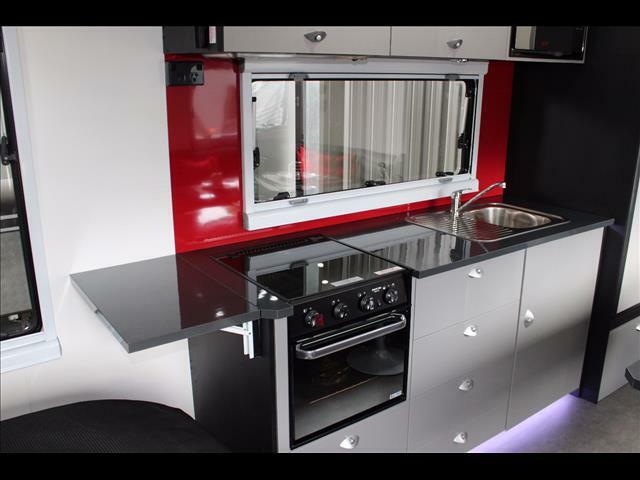 The kitchen comprises of a folding bench extension to give more preparation area, there is also a Triplex Oven, cooktop and grill with a recessed rangehood. 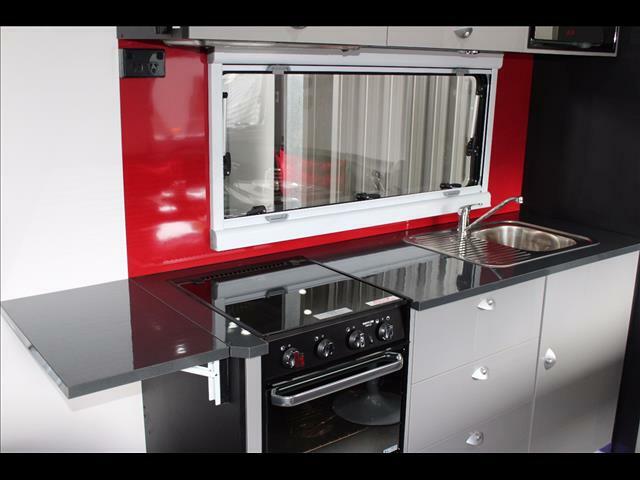 A big 20L Stainless steel sink has plenty of room for all the washing up and a 218L compressor fridge will keep plenty of food and drinks cold. 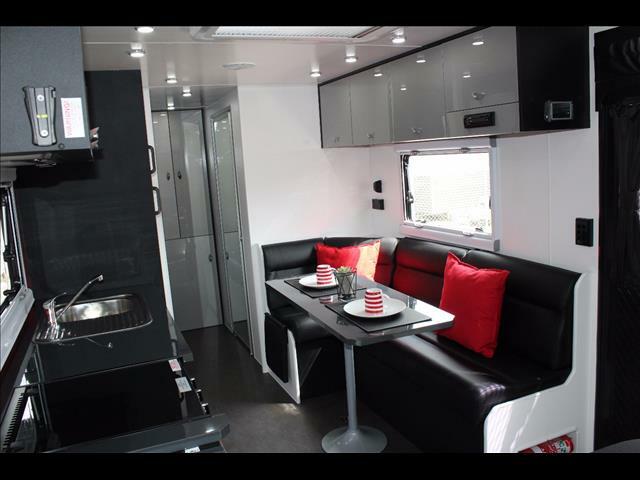 Entertainment is taken care of by a 24" TV/DVD combo, AM/FM/DVD/MP3 head unit and there is an outside entertainment box and external speakers too. 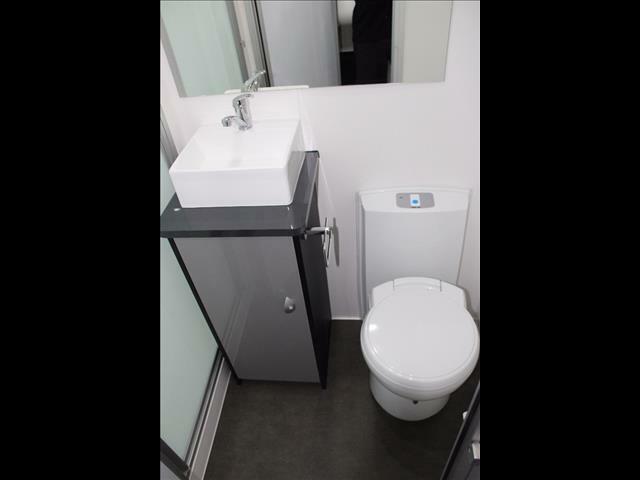 There are solar panels, chargers, batteries and an easy to read display to keep an eye on power consumption and water levels. 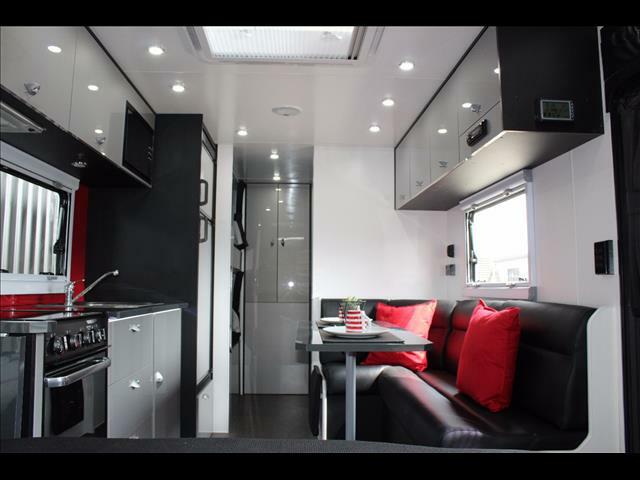 DEXTER sway control has been fitted to this van for added piece of mind. 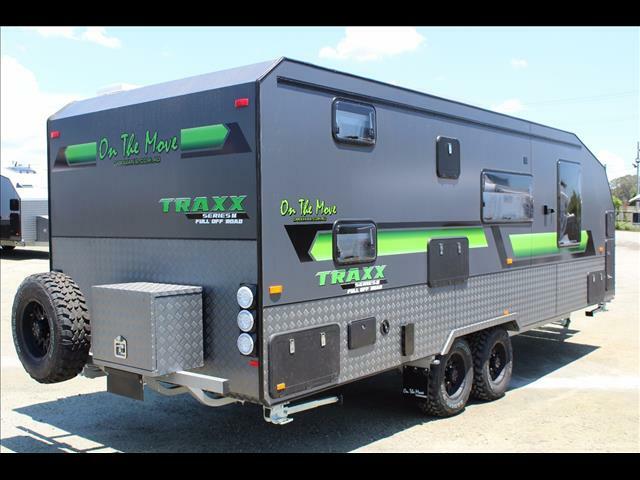 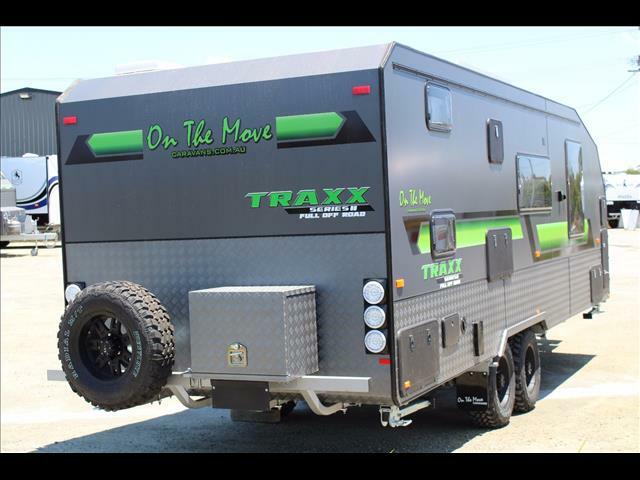 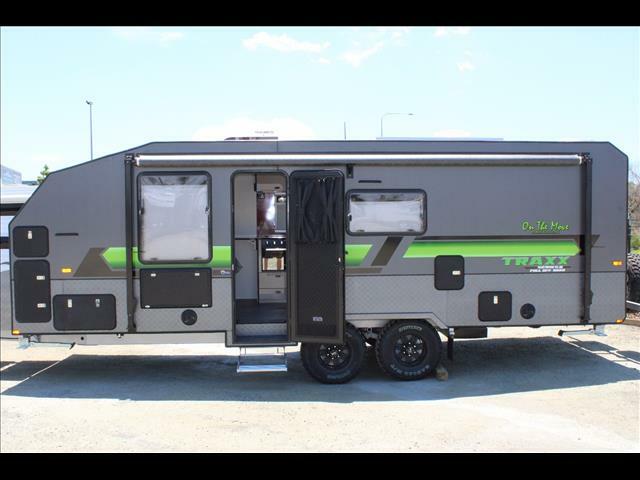 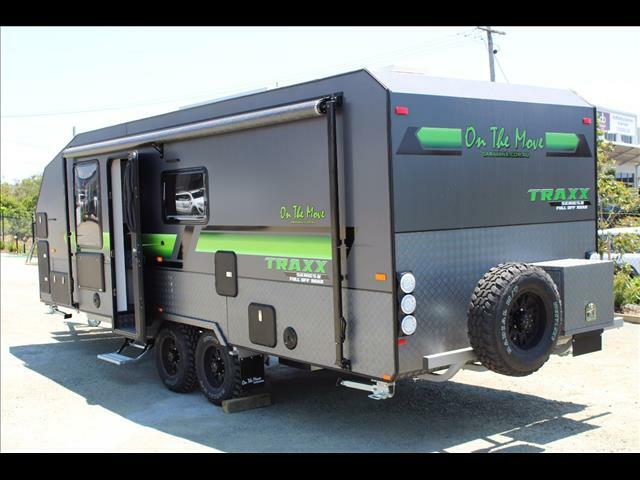 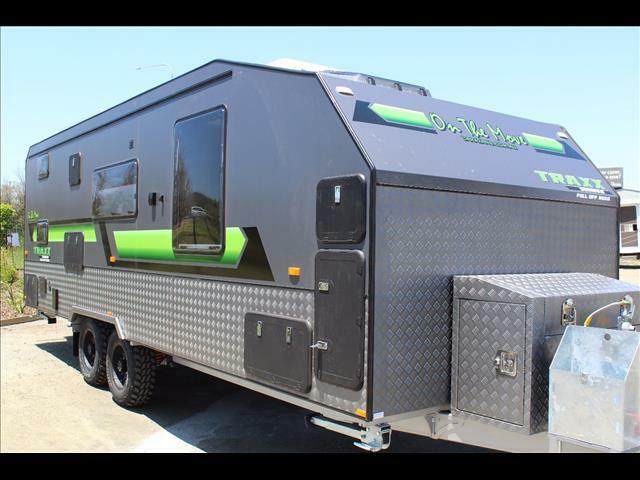 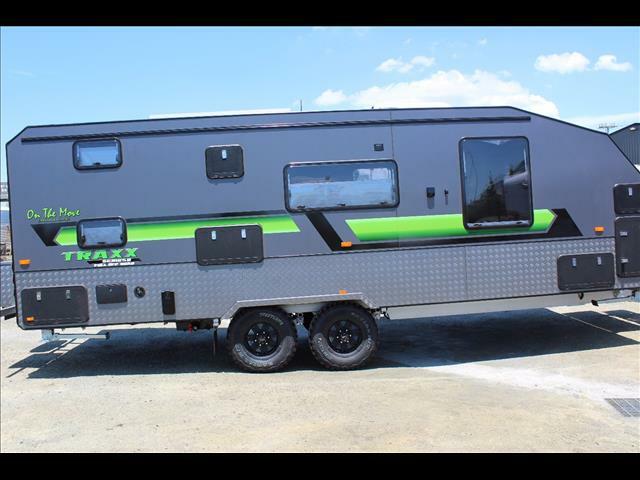 On The Move have already collected multiple Best Aussie Van awards and the Series 1 TRAXX was a winner in its class, the Series 2 continues in the footsteps added some great upgrades to an already awesome van, come in and see why for yourself.